Home ever thought about the Apple computer logo? 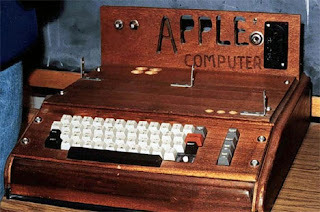 Therefore, in 1977 Jobs asked the art designer Rob Janoff to design the new Apple logo. 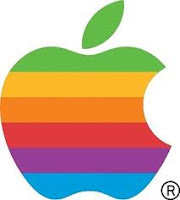 The new logo had a simple shape of an Apple, bitten into, with the colors of the rainbow in the wrong order. The bite symbolized knowlegde (in the bible the apple was the fruit of the tree of knowledge) and the bite could also be pronounced “byte”, a reference to computer technology. So all that junk right there is “appropriate” for their product? And, correct me if I’m off, but this sounds a little too “eh whatever” in regards to the Bible, so that’s not cool in my book either. And the knowledge gained from that infamous bite of the forbidden fruit set into motion this whole jacked up world we live in, so…yea. Of course, there are several other hypothetical reasons for the apple logo and that bite. One is that Steve Jobs didn’t want the logo to look like a tomato – other stories have the food in question being a cherry. Totally! I confuse those things all the time, too! The first was the apple in the Garden of Eden, and the acquisition of Knowledge by Man, but at a cost. The second was Newton’s apple and the knowledge revolution it has come to symbolize having started. The third is Apple(Computer), and what they did and continue to do with knowledge. You did know that the first Apple computer, a wooden box thing, sold for $666.66, right? out of many, one…world order?